VATICAN CITY (CNS) — The Advent season is a time of preparation for the coming of the prince of peace and not a time of making war with those around you, Pope Francis said. 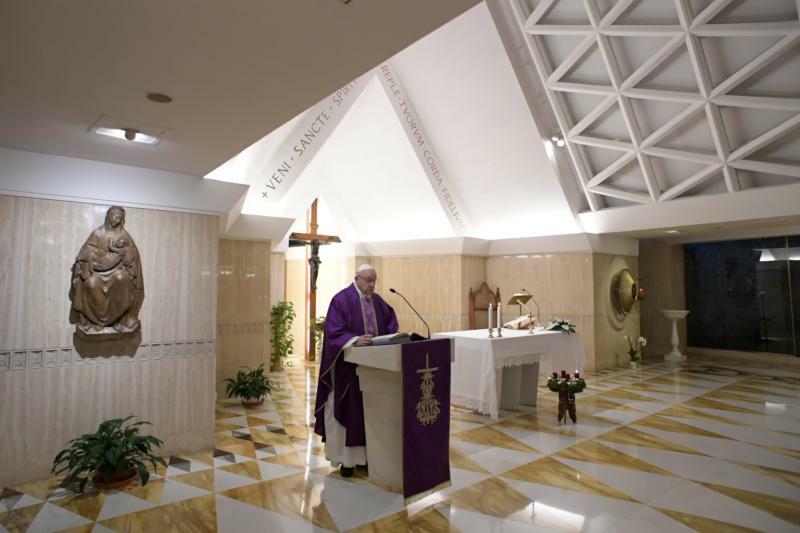 As Christians prepare to celebrate the birth of Jesus, they must also reflect on what they do in their daily lives to become “artisans of peace,” the pope said in his homily Dec. 4 during morning Mass at Domus Sanctae Marthae. In his homily, the pope reflected on the day’s reading from the prophet Isaiah in which he prophesies a time of peace after the coming of the Messiah. “Then the wolf shall be a guest of the lamb, and the leopard shall lie down with the kid. The calf and the young lion shall browse together, with a little child to guide them,” Isaiah writes. Pope Francis said that while this vision of appears with a certain “rustic charm,” the beautiful imagery encapsulates the power of Christ to bring about a peace that is capable of changing lives. Christians must also seek to build peace within the family because “there is so much sadness in families, many struggles, many small wars, so much disunity at times” and in the world. “May the Lord prepare our hearts for the Christmas of the prince of peace” by preparing everyone to do their part: “to pacify my heart, my soul, pacify my family, school, neighborhood and workplace” and to become “men and women of peace,” the pope said.